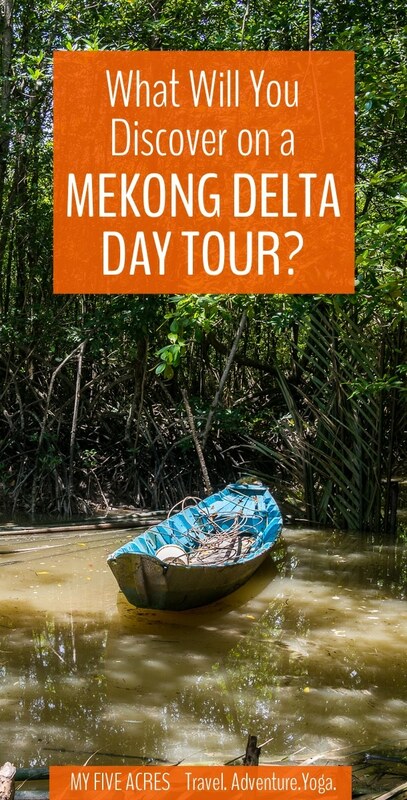 Want to explore the Mekong Delta? 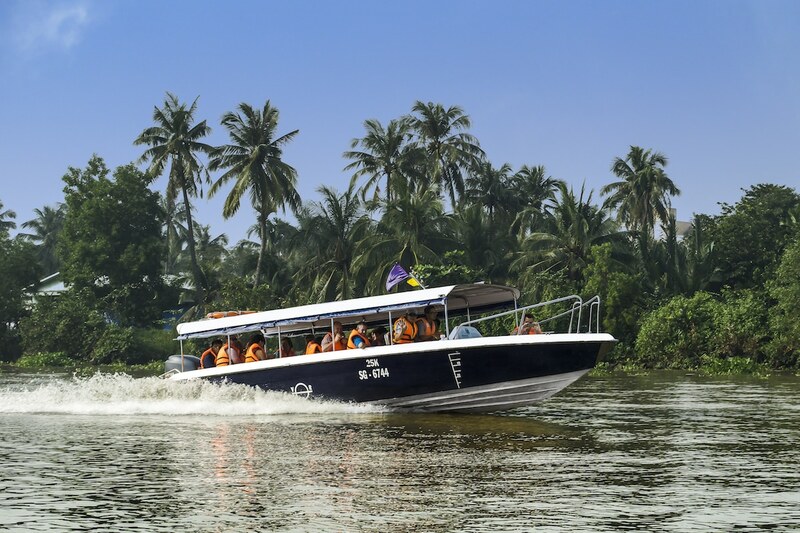 This Mekong River tour is the perfect way to escape the crazy streets of Saigon and immerse yourself in the lush nature of the Mekong Delta. Keep reading for all the details you need! 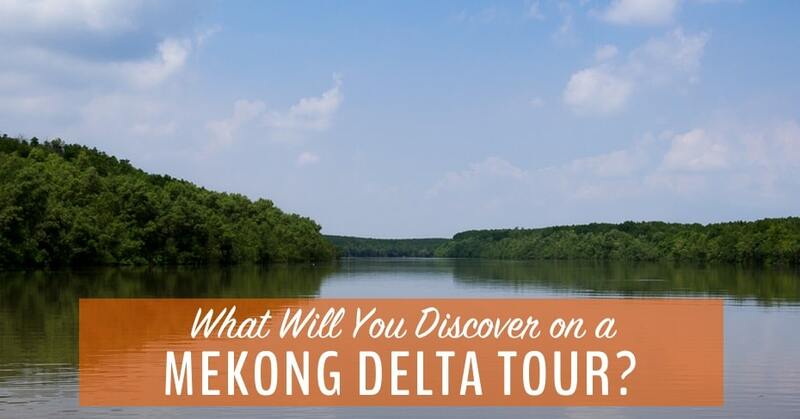 What’s in our review of this Mekong Delta day tour? Though Ho Chi Minh City (aka Saigon) is great place to visit, it’s also big, busy, and jam-packed with traffic. After a few days exploring the streets, cafes and museums of Vietnam’s biggest city, an escape to the peaceful Mekong Delta is practically mandatory. I had spent almost a week in the city centre and I was desperate to get out! I chose the Can Gio Forest Tour, a Mekong Delta tour from Ho Chi Minh City with Les Rives*, for the promise of seeing this amazingly biodiverse region with a focus on wildlife. The immense Mekong Delta is as big as France and Germany combined. It’s the culmination of the river’s 4,500km journey from the Tibetan Plateau from where it flows through China, Myanmar, Laos, Cambodia, and Vietnam on its way to the South China Sea. The river is a source of food, water, and income for millions of people and there are more than 10,000 square kilometres of rice cultivation in the Mekong Delta alone. The Mekong Delta is so peaceful after hectic Ho Chi Minh City. Thousands of species of animals, birds, and fish also make their home in the Mekong Delta. All that is to say, you really shouldn’t miss taking a Mekong day tour when you’re in Ho Chi Minh City. What Will You Discover on a Mekong Delta Tour from Saigon? Don’t miss this short video we made on our one-day Mekong River Tour. Transportation: Modern, comfortable speedboat, well maintained and equipped with lifejackets, with a qualified Captain and an Engineer on board. They also have WiFi that actually works! Les Rives speedboats are comfortable, safe, and new. Photo by Les Rives. Meals: Light breakfast (pork banh mi or croissant), huge and very good Vietnamese lunch, plus non-stop fresh fruit and soft drinks throughout the day. Additional Expenses: Alcoholic drinks at lunch, tips for guides and staff (both optional). Facilities: There is no toilet on the boat but there are hourly toilet breaks throughout the day. Some toilets were very basic (outhouses or squat toilets), others were much better. 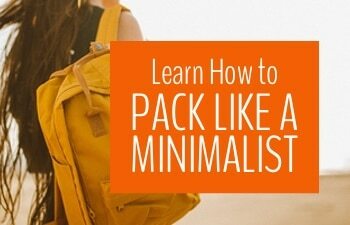 What to Bring: Sunglasses, sunscreen, camera, mosquito repellent (they have some if you forget), sunhat. Seeing Ho Chi Minh City from the river: The tour starts on the Saigon River, passing by the familiar sights of Saigon. It’s so peaceful to view the city from this vantage point! It’s also fascinating to see the construction that is transforming the city at an alarming rate. In a few years, I imagine this portion of the trip will look very different than it does today. A tale of two cities: Shortly after passing by the luxury condo developments in the city centre, the trip enters one of the many Mekong Delta canals. Here, the canal is lined by a strikingly different kind of dwelling. Tiny shacks, built from scavenged materials such as old doors, discarded planks of wood, and corrugated steel, house some of the city’s poorest citizens. 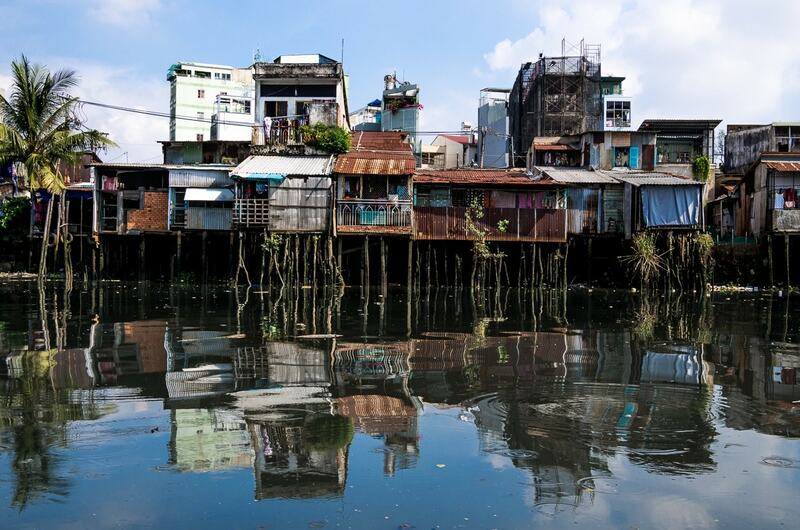 These humble houses are built on stilts to accommodate the rise and fall of the tidal canal. Many of the shacks have been torn down in recent years to make way for more high-cost housing. Because the people do not own their houses or the land, most are displaced without compensation. It’s a sobering reminder that for every Gucci store and trendy cafe popping up in the city centre, there are hundreds of people who are barely able to survive. Local village market: Though Stephen and I have been in hundreds of local village markets all over Asia, it’s rare for us to see them with a guide. The riverside market we visited on the trip was a typical crowded market selling everything from fish mint (yuck!) to farm tools. We were even shown a fruit that Vietnamese women use to alleviate period symptoms. If only I’d known about that during our bike trip! 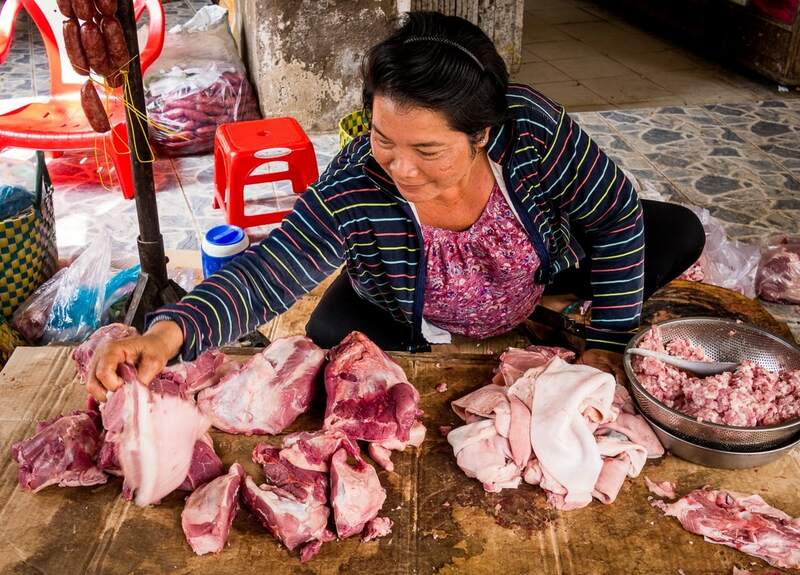 If you’ve never been to a village market in Vietnam, prepare to be surprised! Can Gio Biosphere Reserve: This UNESCO-listed reserve contains more than 150 botanical species and is home to a hugely diverse population of birds, fish, amphibians, and mollusks. 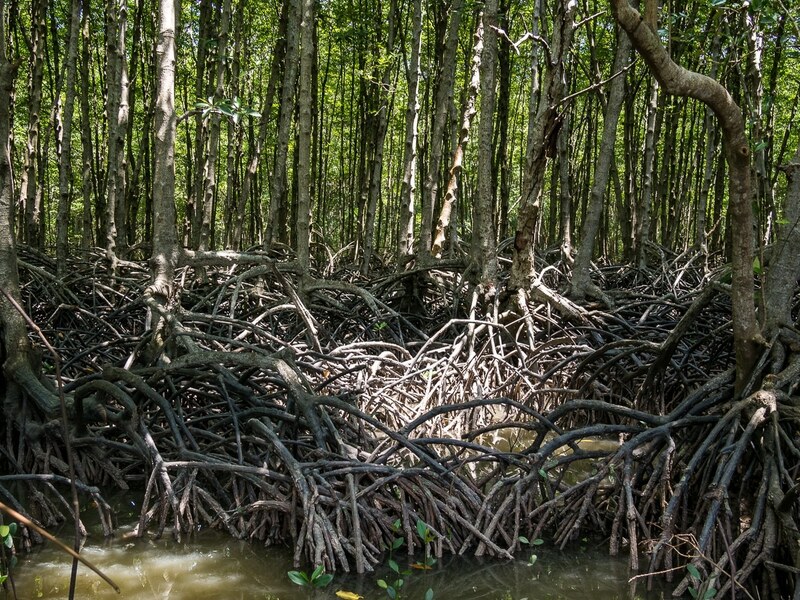 We walked silently through the mangrove forest, riveted by the plock thwack plock sound of shrimp who live in the thick mud at the base of the mangroves. Mangroves are spooky, beautiful, and so important to the environment! Though the fruits bats who live in the forest were hiding from the bright sunshine, we had fun trying to spy on them through the thick forest. 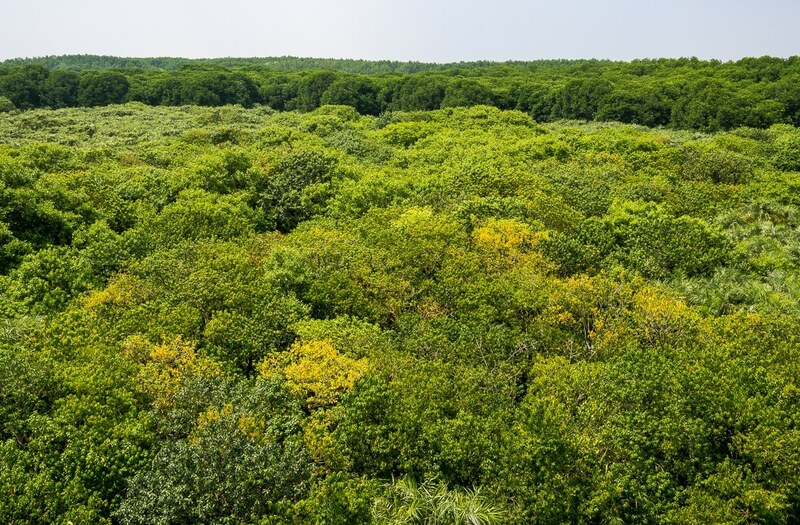 The most awesome views of the reserve came later, when we climbed high into a bird-viewing platform and could see the endless diversity of trees and plants in the area. The tree tops at the bird sanctuary were absolutely stunning! Monkey family gathering: If you’ve never seen monkeys before, be prepared for some up-close and a little too personal encounters with a monkey family who lives on the touristy “monkey island”. As soon as we stepped into their territory, monkeys leapt out of the forest, knowing that people bring food. 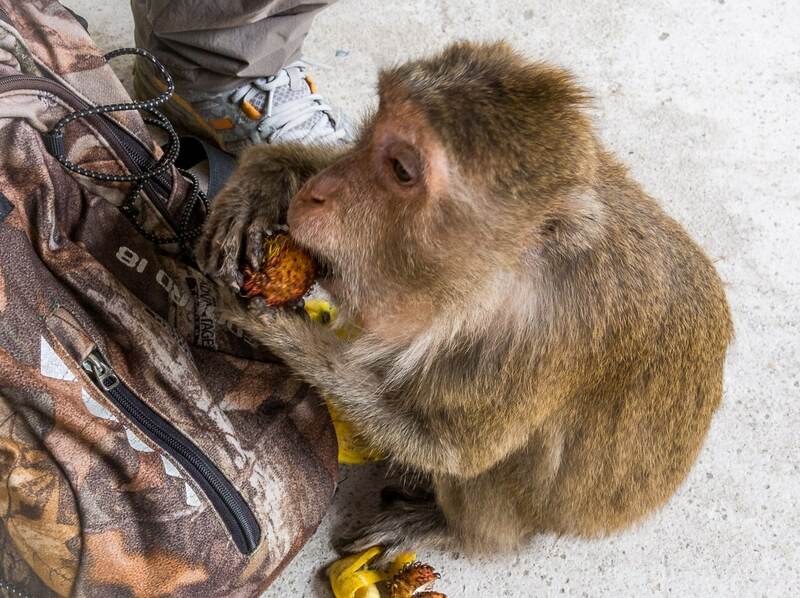 While monkeys may look cute, they can also be dangerous, so you need to keep your distance, lest one of them run off with your cellphone or take a bite out of your finger. I never get tired of seeing monkeys but it made me a little sad to see these wild creatures so dependent upon humans for their food. This poor little monkey was bullied by the other monkeys. But she got her treats! 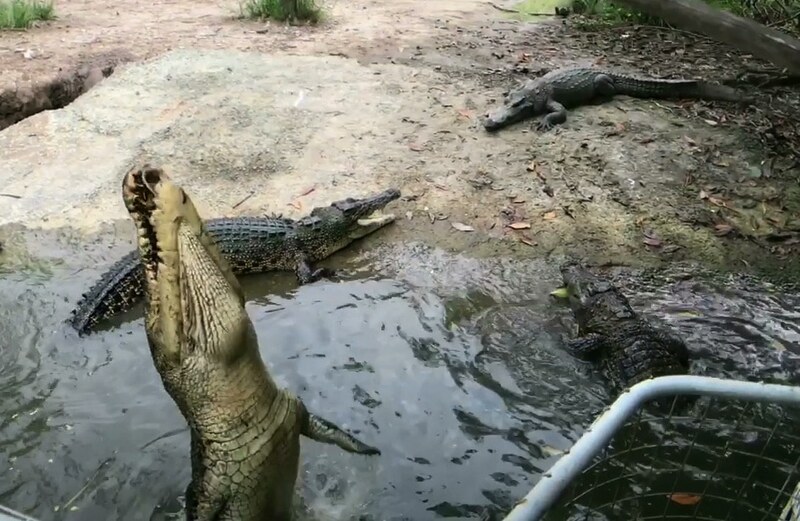 Feeding salt-water crocodiles: We climbed onto floating rafts over a swamp where huge saltwater crocodiles were lurking just beneath the surface. Wild crocs used to populate the entire area but were eventually killed off by locals. Now, they only live where they are being persevered or farmed. The crocodiles here are of the latter kind, bred for tourists (and possibly to be eaten). I’m not going to lie: it was thrilling to dangle a bit of eel on the end of a large “fishing” pole and watch as the crocodiles leapt into the air, grabbing at the food with a terrifyingly powerful snap of the jaws. These crocodiles could easily take down a human, so I was certainly glad of the tall steel cage on the edges of the rafts, protecting us from harm. The crocodiles were interesting but also a little sad. While it was amazing to get close to these powerful beasts, like with many animal encounters, I was of two minds. I couldn’t help feel sad and sorry for the crocodiles, who were living as human entertainment and would probably die for human food. Pollution on the river: Though it was fairly clean inside the nature reserve, on our way out of Ho Chi Minh City, the rivers and canals were full of garbage and smelled like sewage. It’s not the dirtiest river I’ve ever seen (that honour goes to Jakarta) but it was pretty bad. Our guide explained that the government is in the process of cleaning up the river but of course it takes time, money, and dedication to do so. It did leave me filled with hope that next time I return to the Mekong River in Ho Chi Minh City, it will be to a clean and healthy waterway. A Mekong River Tour lets you see another side of Vietnam. Photo by Les Rives. A visit to Ho Chi Minh City just isn’t complete if you don’t get out on a Mekong boat trip. After all, the Mekong Delta has shaped the history and construction of the city. 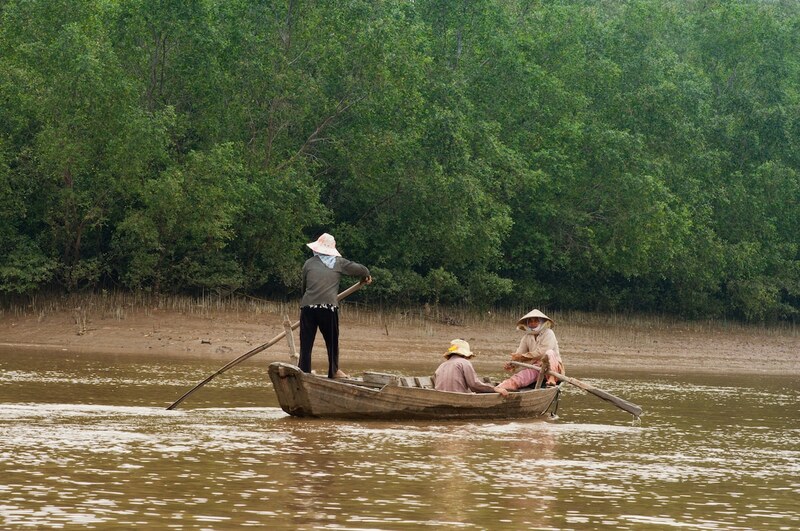 To get a taste of the wild side of Ho Chi Minh City, take a boat trip on the Mekong Delta. Designed for the culture buff, this tour will immerse you in the slow pace of Mekong Delta life as you visit temples, pagodas, and markets and get to enjoy the river scenery from a luxury speedboat. Travel deep into the Mekong Delta on this 2-day speedboat tour where you’ll get to explore a floating market, take a rowboat along a narrow canal, visit local artisans and craftsmen, and even ride a traditional xe loi. You’ll spend the night in a luxury boutique hotel. Cycle canal paths and orchard trails, cross on tiny local ferries, and immerse yourself in rural Mekong life. After adventurous days, spend your nights in two of the most highly rated luxury hotels in Southern Vietnam. See all the sights of the Mekong Delta on a leisurely trip that includes a stay in a boutique hotel on an island in My Tho and one night on a vintage cruise ship. This is luxury travel for the adventurous set. Find details and prices for all Les Rives Mekong river tours. Les Rives also offers a great selection of Ho Chi Minh City day trips and Cu Chi Tunnels tours. 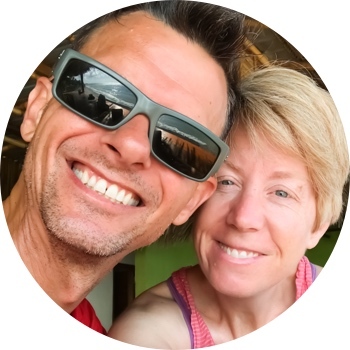 I was a guest on this Les Rives tour but as always, I only participate in and recommend trips that I think you’ll truly enjoy! Have you taken a tour on the Mekong Delta or in Ho Chi Minh City? What was it like? Would you recommend it? Share your knowledge in the comments below! PIN for your Vietnam trip! Tagged Ho Chi Minh City, Vietnam. 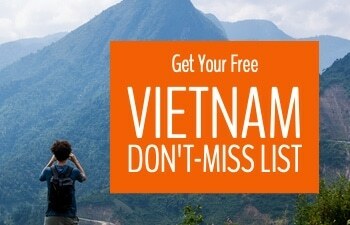 You had an amazing journey in Southern Vietnam! You had great write-up and nice photos! I imagine that I’m reading a travel magazine, really! 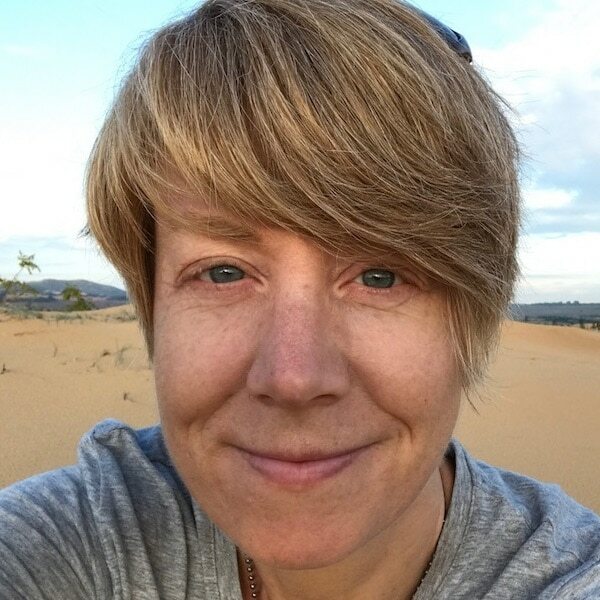 Thanks for your sharing and look forward to upcoming posts! Thanks Kara. We really love Vietnam and always have an amazing time there! Pingback: Should You Bother Visiting the Mui Ne Sand Dunes in Vietnam? | My Five Acres. Travel. Adventure. Yoga.